We are a locally owned and operated company with many years of industry experience. We value honesty, integrity and stand behind our work. We specialize in a variety of residential and commercial cleaning services ,include carpets, air ducts, upholstery, and furniture as well as chimneys. We pride ourselves on the quality of our work as well as our commitment to outstanding results. We look forward building long-term relationships with our clients and guarantee your satisfaction! The Electric Sweeper Service Company (ESSCO) was created in Cleveland, Ohio in 1924 when Louis Pearsol split Pearsol Appliance into two separate companies, forming ESSCO to sell vacuum and small appliance parts. 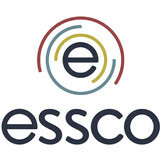 ESSCO has since grown to be the largest distributor of vacuums, parts, accessories, janitorial supply and central vacuum systems in the country. Our corporate office and main warehouse is in Twinsburg, Ohio. ESSCO also has 3 additional warehouses in Georgia, California, and Oregon, insuring fast delivery throughout the country. Our customer service team is out of the world offering 50+ years of experience in the industry. 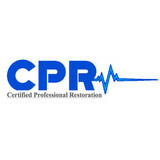 Certified Professional Restoration (CPR) is a restoration company attentive to both of these elements in helping our clients recover from their loss. CPR has a 24-7 immediate response and is dedicated to customer satisfaction, serving Akron, Canton and surrounding areas. We are LJF Cleaning LLC and we have provided superior commercial cleaning services since 2004. Our affordable cleaning service pricing, hard work and friendly janitorial service staff is what has kept us in business over the last 12 years. We specialize in professional office cleaning services, but look at ourselves as innovators as we enjoy taking on new and unique business cleaning opportunities. We are a group of individuals that really take pride in our work and feel that customer satisfaction is the most important feature in a business. We want to please you the best we can and will do whatever it takes to accomplish that task. 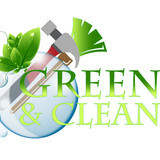 International Cleaning Solutions is a commercial cleaning, landscaping, and snow removal company. We strive to serve our market by providing high quality services that is cost-effective, as well as exceptional customer service, and round the clock staff to fulfill all job requirements. Our employees are experienced and dedicated professionals with years of experience. Give us a call today and see what a difference we can make you. Our business is our livelihood but it is also so much more. Rick McKelvey Carpet Cleaning was started to fill in a void in the current market and to make a business that people can place their trust in. Over the years we have never lost our commitment to our clients and that is what has allowed us to succeed in a very competitive industry. The employees of Rick McKelvey Carpet Cleaning stand committed to our purpose and will provide the best service! Here for any of your residential cleaning needs! What should I expect from a house cleaner in Cleveland, OH? Most professional Cleveland house cleaning services will do the same tasks for a basic residential cleaning job: clearing dust and cobwebs from all surfaces and fixtures; wiping all surfaces, including sinks, tubs, counters mirrors; cleaning tile; vacuuming and mopping. You may want to have different rooms detailed at different times, so ask about doing a rotating schedule if you want them to pay extra attention to each space (like kitchens and bathrooms) every other cleaning. Some house cleaning companies in Cleveland, OH will also offer additional services such as window washing or appliance cleaning, so ask about incorporating them into your deal or doing them as a one time thing if you’re interested. Pick up any clutter (laundry, toys and other gadgets) and put pets in a secure spot so they feel safe and don’t get in the way of the Cleveland house cleaning company. Put out any specific cleaning products or tools you want used, and make sure to lock up any valuables that you don’t want disturbed. Most housekeeping services in Cleveland, OH will enter with a spare key or garage code, but if that isn’t something you’re comfortable with then you should arrange for them to come when you are home to let them in. Typically Cleveland house cleaners expect payment at the time of cleaning, so ensure you have the appropriate form of payment (cash, check or credit card) on hand, plus a little extra for tip if that’s your style and they do a great job. Find Cleveland house cleaning services on Houzz. 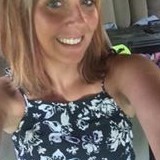 Narrow your search in the Professionals section of the website to house cleaners in Cleveland, OH and contact local companies to ask questions and get quotes.